This event is a race in that you start at the start, follow a course and finish at the finish. But it isn’t as much a ‘race’ as an opportunity for you to dust off your kayak (any type of kayak!) and to come and paddle it. 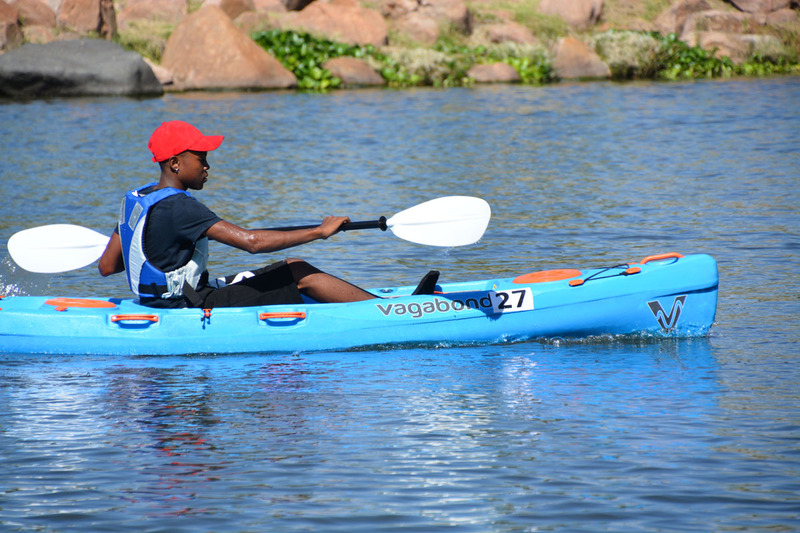 Paddling Race is for everyone – young, old, fit, unfit, beginner and experienced kayaker. There are two course distances to choose from, marshals on the water to guide you and our lovely venue at the Likkewaan Canoe Club. 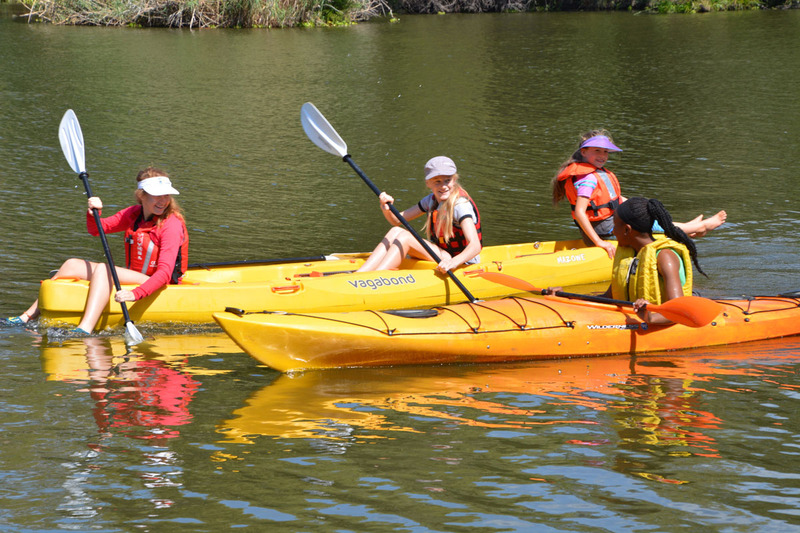 You need little more than a kayak, paddle and PFD (and we do have some rental kayaks available too). 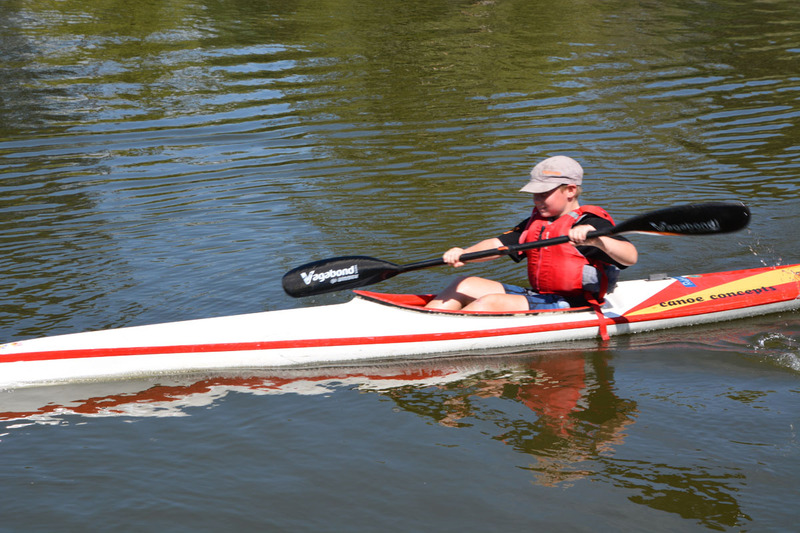 It doesn’t matter whether your kayak is old or new, short or long, sleek or squat, plastic or fibreglass. 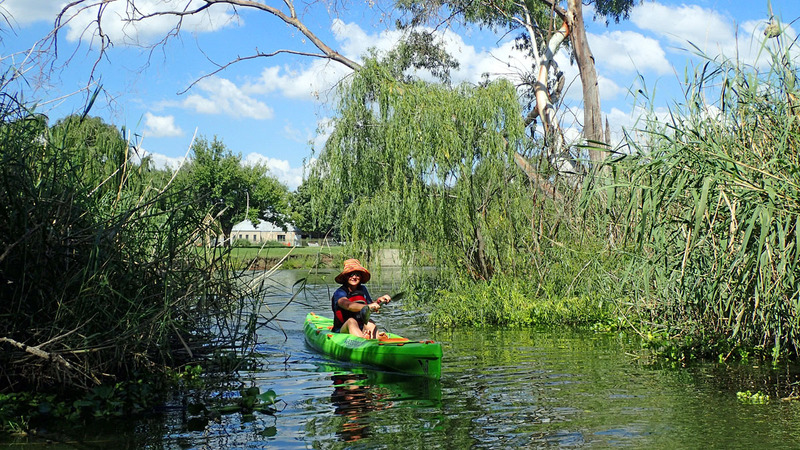 Come and experience this beautiful section of the Vaal River with its vegetated islands and abundant bird life. Please read the event information below, enter by submitting your entry form and EFTing your entry fee. We do accept entries on-the-day but prefer pre-entries for planning catering and logisitics and also EFTs to avoid having cash at the event. Please download and share this flyer with your friends. We are on Facebook (@thepaddlingrace) and Instagram (#vagabondkayaks #thepaddlingrace). 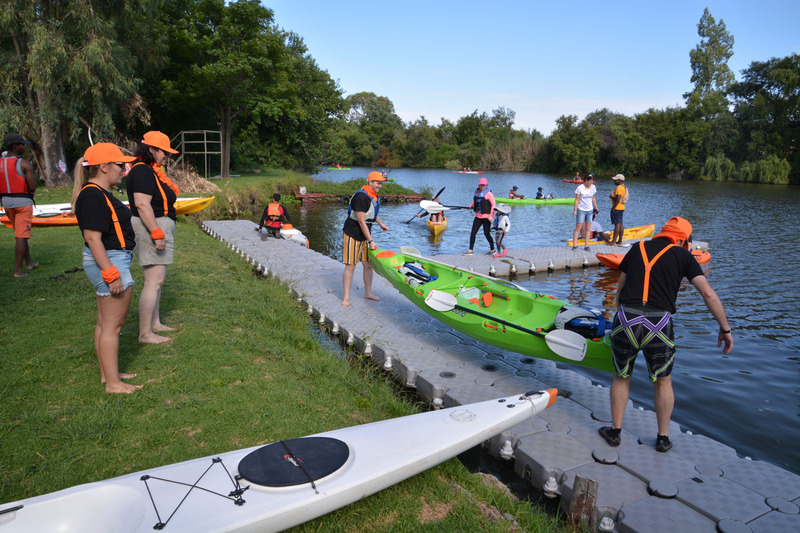 Enquiries can be directed to events@scenicpaddle.co.za. Paddling Race is held on the first Sunday of every month (except September – it’s the second Sunday). Pre-entry deadline is 12h00 on the Friday before the event. We ask you to please pre-enter as this gives us an idea of numbers for catering and other logistics. Please arrive in good time to check in at our registration desk. 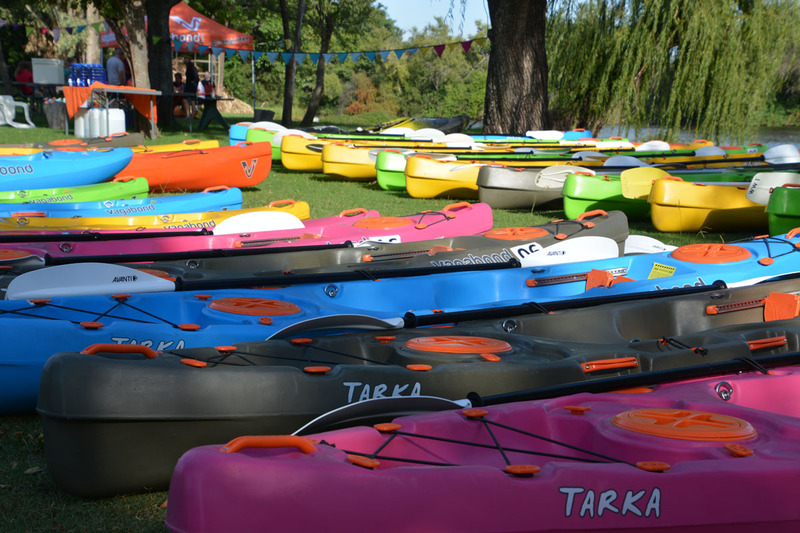 Also keep in mind that you need to offload your kayak, apply sunblock, get your paddling clothing and PFD on and get your boat on the water in time for the 09h30 start. Wors rolls, colddrinks and fresh juice are available at the finish. You are welcome to bring along a picnic basket and your picnic blanket to enjoy a post-paddle brunch. 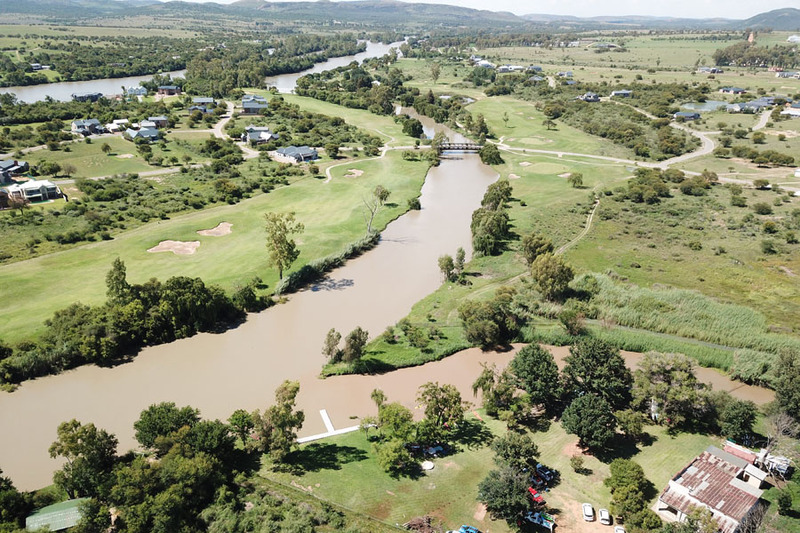 Located just off the R59 as you enter Parys from the North, the Likkewaan Canoe Club (LKK) is a beautiful venue with its open lawns and large trees. 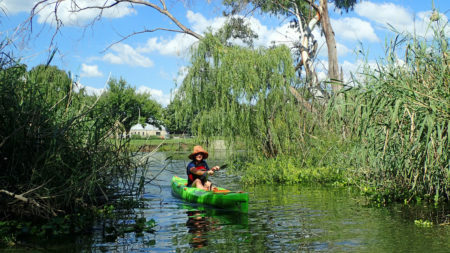 With thanks to a weir a distance downstream of the club, paddlers enjoy kilometres of flatwater dotted with vegetated islands that create a variety of interesting and scenic routes. Goliath herons, grey herons and fish eagles are a treat to spot. You’ll certainly see many other waterbirds like darters, comorants, herons, krakes, lapwings and kingfishers. Parys is an easy 60 – 90 minute drive from Johannesburg. Pass through the Grasmere Toll Plaza (R19.00) and keep going. 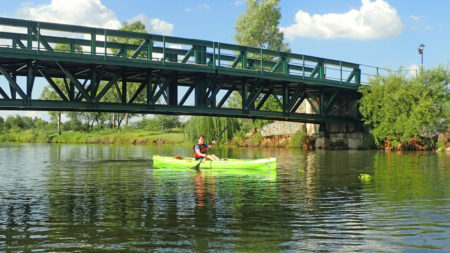 Cross the Vaal River and keep going. Take the Parys offramp. If you get to the big expensive toll plaza (not more than 1km from the offramp), you’ve gone too far. After 15km you’ll pass the Parys airfield on your left. Then the Parys Golf Estate on your right. Cross the bridge and very shortly after the bridge there is a dirt road on your right. Take it. At the end of this short road (about 200m) you’ll find the Likkewaan Canoe Club. The N12 in Alberton gets you on to the R59. Head south past Meyerton, Vereeniging, Vanderbijl and Sasolburg towards Parys. The R59 goes over the N1 highway. Courses are clearly marked using visible flags hanging from trees on the bank. There are also safety marshals in kayaks along the route to guide you. Kayaks >5.1m (long course only). 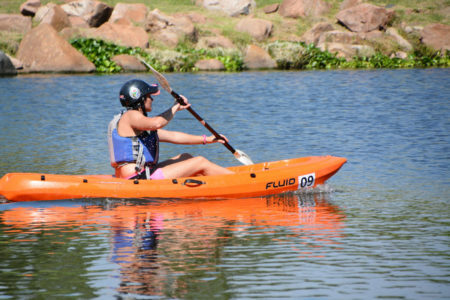 This category includes surfskis, touring kayaks and K1s. 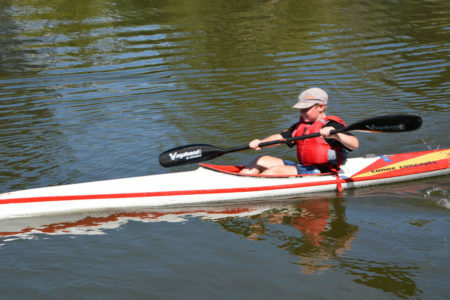 This category includes surfskis, touring kayaks and K2s. We most definitely encourage you to please pre-enter as this aids our planning in knowing how many paddlers are attending. Deadline for pre-entries is at 12h00 on the Friday before the event. After completing the entry form, you will receive a confirmation screen with banking details. The organisers, event partners and volunteers of Paddling Race do not accept responsibility for any injury or loss sustained, including any consequential losses, of whatsoever nature at, before or during the event. Participants take part in this event at their own risk and indemnify the organisers, event partners, landowners and volunteers from any claim arising at, during, around or as a result of this Paddling Race event. Participants acknowledge that Paddling Race is an outdoor sporting activity with inherent risks, such as common sports injuries associated with paddling. 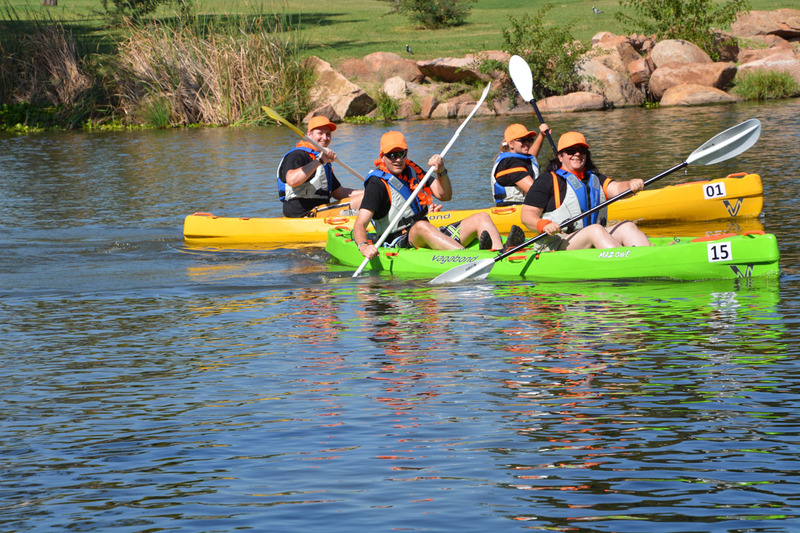 Participants regard themselves as physically fit and sufficiently prepared to participate in this event. Participants accept all rules, conditions and regulations and agree to abide by event requirements. 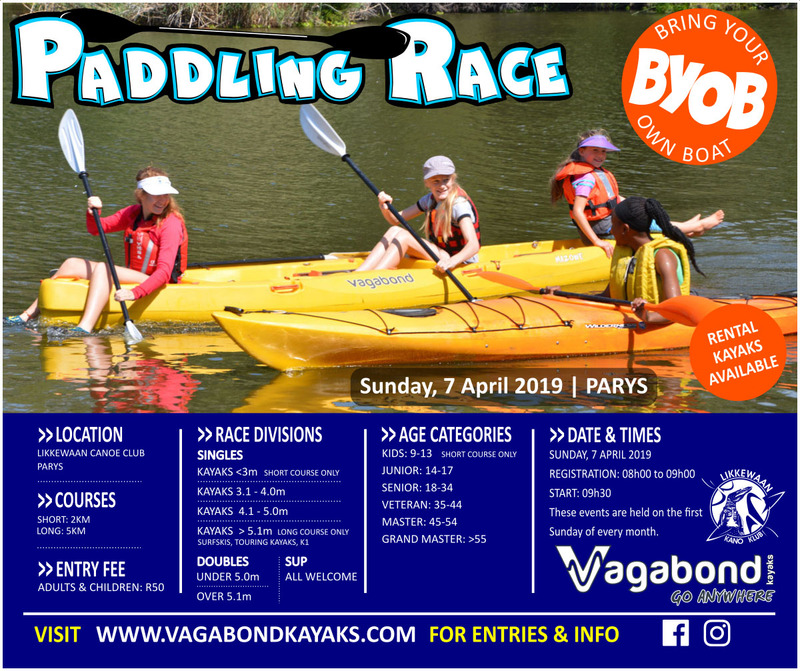 Participants agree that their name, photographs, video footage and any other material may be used free of charge by Paddling Race and Vagabond Kayaks (Pty) Ltd for promotional purposes. BYOB – BRING YOUR OWN BOAT. Any kayak or SUP can participate in this event. 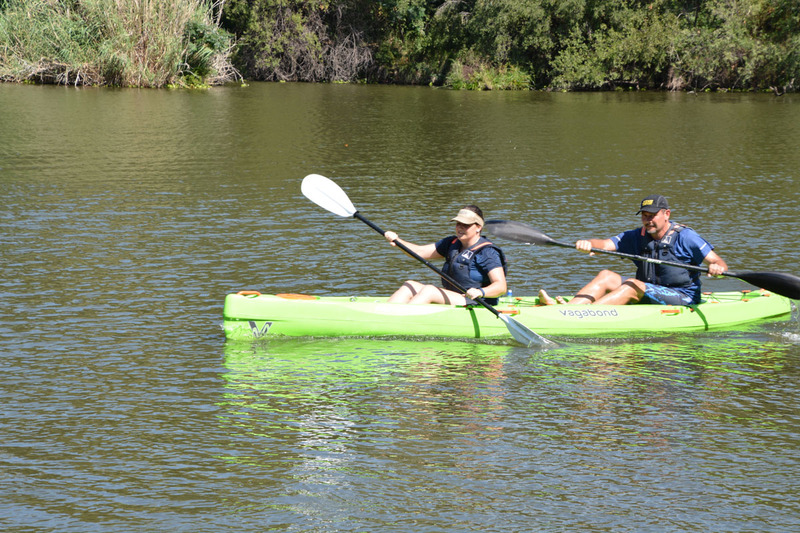 Kayak Rentals from us or kayak stores will include a PFD and paddle. Category winners get free entry to next events. Q: Why don’t you have other prizes? A: If you have ever organised an event, you will know how much time and money goes into getting sponsored prizes or buying prizes, medals and trophies. When you consider the many race divisions and age groups that we acknowledge, you suddenly end up with a load of winners. And, category winners constitute only a small number of the actual participants. For this reason we prefer to eliminate prizes and trinkets, to spend our time on making this event happen and to keep entry fees low. We do acknowledge those who place in their category by offering free entry to other events. These are the people with a target on their backs at the next race. 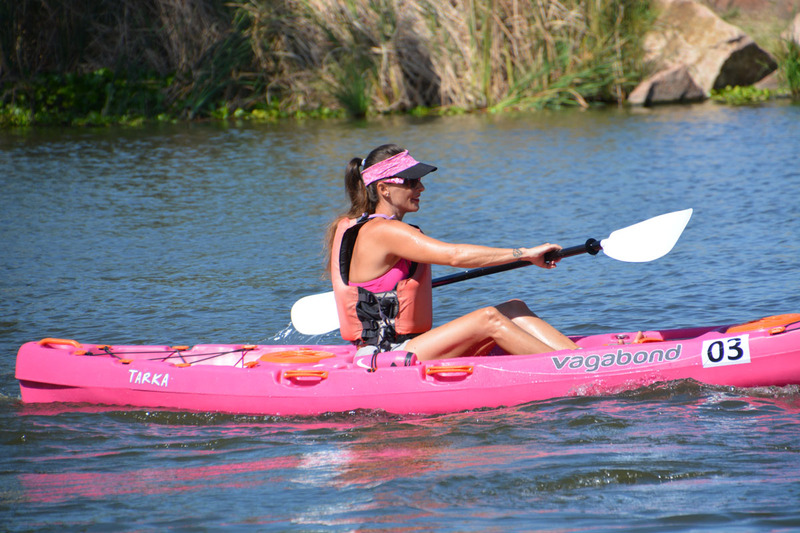 To create an event that paddlers with any type of kayak (and SUP) can participate in. 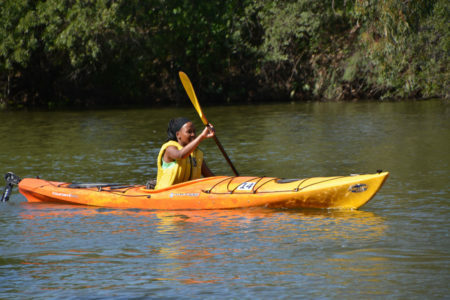 To provide an opportunity for recreational paddlers to get out more often and to be on the water in a safe environment. 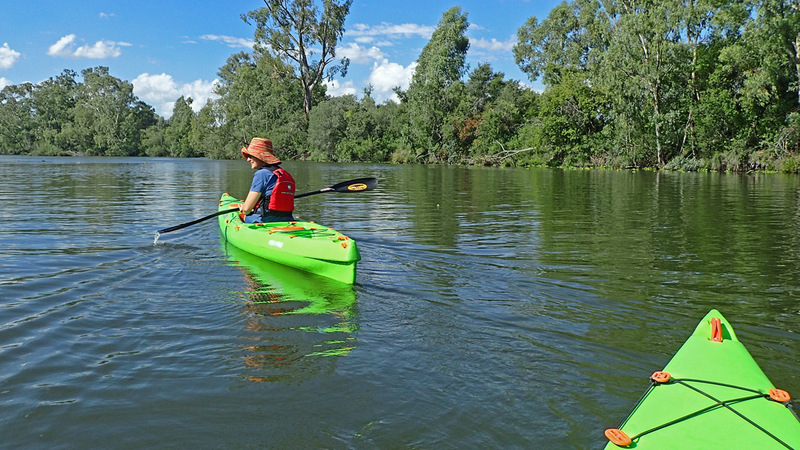 To allow you to discover accessible waterways where you can paddle for sport, fitness and recreation. For this event, we do not charge a rental fee for our children’s kayak, the Kwando. But, note that an adult must accompany the child on the 2km course. Kwandos must be reserved. These rates include a paddle and PFD per person. Rental kayaks must be booked in advance. We don’t have many rules but we do expect them to be followed. 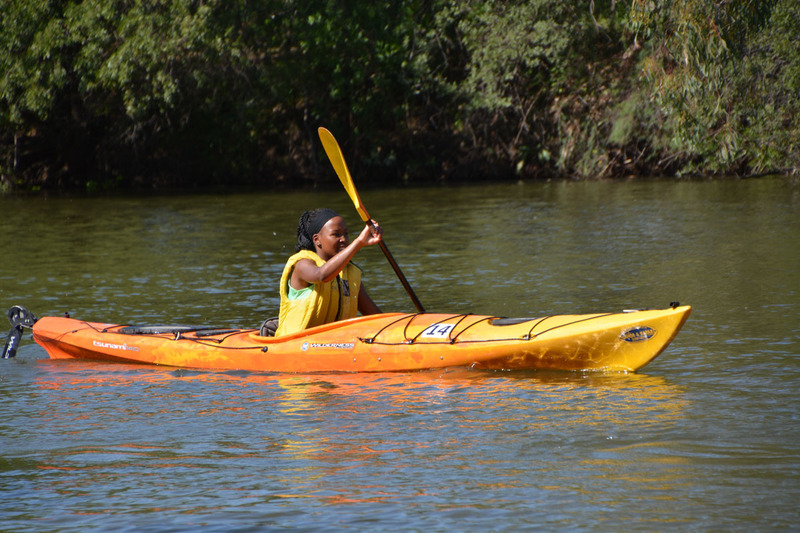 Wearing a Personal Flotation Device (PFD, lifejacket) in and on the water is compulsory. No negotiation on this. Follow the marshal’s instructions at all time. Follow the course. Please do not go off paddling on your own. Check-out at the finish table when you get off the water. Even if you do not complete the full course distance, please check in at the finish table so that we know you are off the water. It saves us from sending out a search party for someone who isn’t even on the water. No littering. Secure wrappers and packaging in your clothing or PFD on the water to discard in bins at the venue. Young children must not be left unattended. No swimming. Do not push anyone into the water (it isn’t funny). Q: Are children allowed to participate? 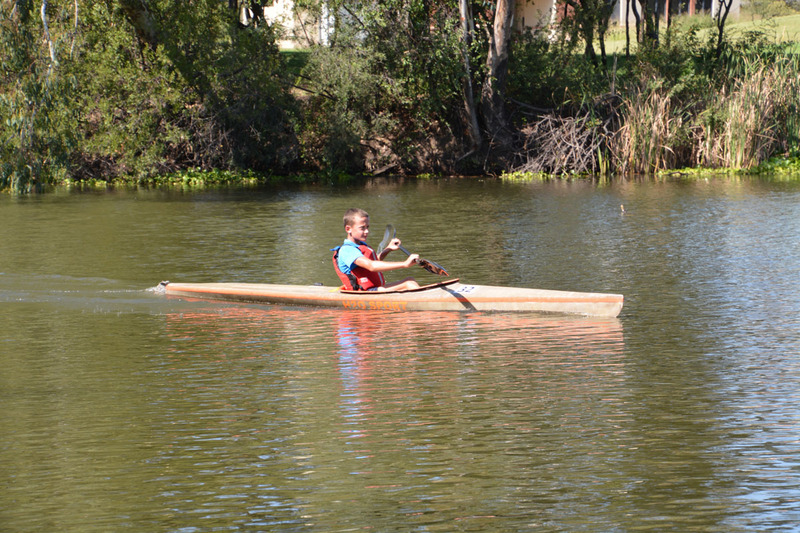 We allow for children from the age of 9 to 13 to paddle the short course on their own. BUT, if your child has never before paddled on their own, don’t throw them in the deep end. Paddle with your child. 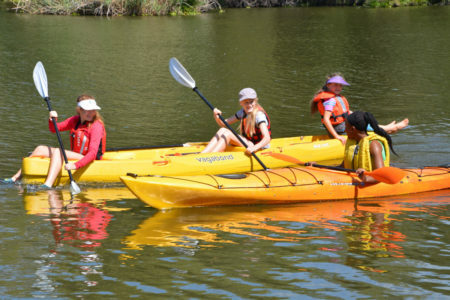 If you have children of 8yrs or younger and you would like to take them out on your kayak either paddling with you on a double or catching a ride, that’s fine. We won’t charge you an entry fee for them. My kayak is covered in a thick layer of dust and I haven’t paddled it in 10 years. Can I come? A: Yes! This event is for you. Dust off your old and faithful kayak, dig that paddle and PFD out of the garage and bring it to this event. While this is a race, it isn’t a ‘race’. The longest course is 5km, which you can do at an easy pace. Afterall, you’re not coming here to win, you’re coming here to enjoy paddling. Q: I’ve only ever paddled a kayak a little bit while on holiday. Is this for me? A: Yes, yes, yes! Kayaks are not just for holidays, they are for everydays. Where you can run and bike on roads and tracks everywhere, kayaking is a little more challenging because you need a body of water on which to paddle. 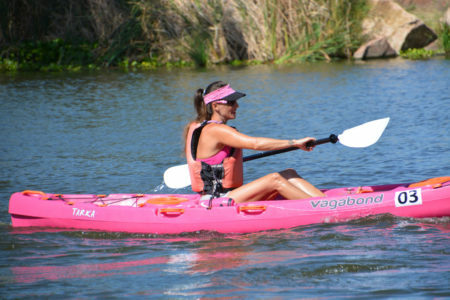 This event is an opportunity for you to use that holiday kayak more often for fun and fitness. No. Just downstream of the Likkewaan Canoe Club is a weir. This means that we have kilometres of flatwater to play on. The routes are upstream of the club and they weave between the islands. 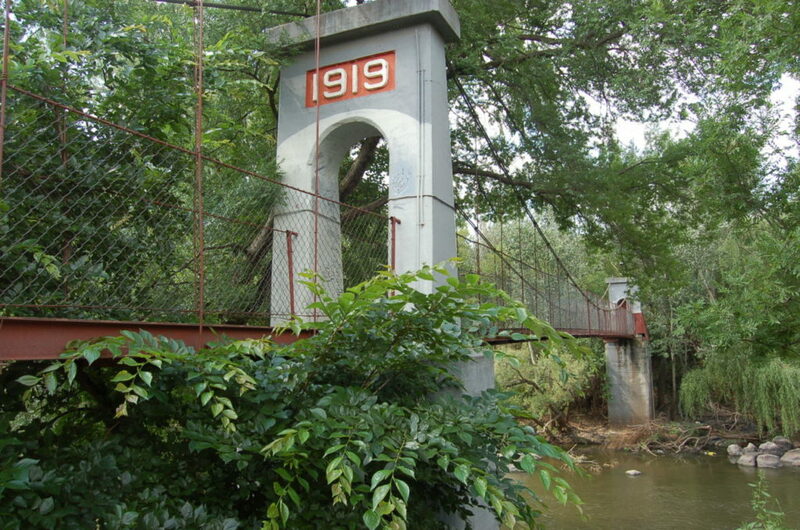 Q: You mentioned a weir downstream of the club. What stops me from going over it? A: The weir is a few hundred metres downstream of the club and the courses do not go anywhere near it. The water here is not pushy and to get over the weir you actually have to aim for it and paddle hard, which the whitewater kayakers do when they trip the section below the weir. You won’t even get to see it. Q: I don’t have my own kayak, can I rent one? A: Yes, we do have a limited number of kayaks available to rent for the event. See the Kayak & Equipment Rental tab on the left. Q: Do you plan to present regular events? A: We’re getting the ball rolling with this first event and we plan to support a number of other events, organised by other people, that could be on the cards. This one is a testing of the waters, so to speak. Parys is an accessible Gauteng getaway and as such it offers an abundance of accommodation options, restaurants, decor shops and emporiums, second-hand furniture stores, knickknack stores, galleries, and an array of activities available. Use any of the many accommodation sites to book accommodation; you really can’t go wrong in this town. We have a Parys parkrun that starts at 08h00 on Saturday mornings from Mimosa Gardens (cnr Father Balink and Boom Streets). We also have a Parys myrun on Sunday mornings at 08h00 at the Parys Golf Estate. If you’re fast, you can do myrun and then come paddle. Walk the main street, stopping in at the stores that catch your interest. 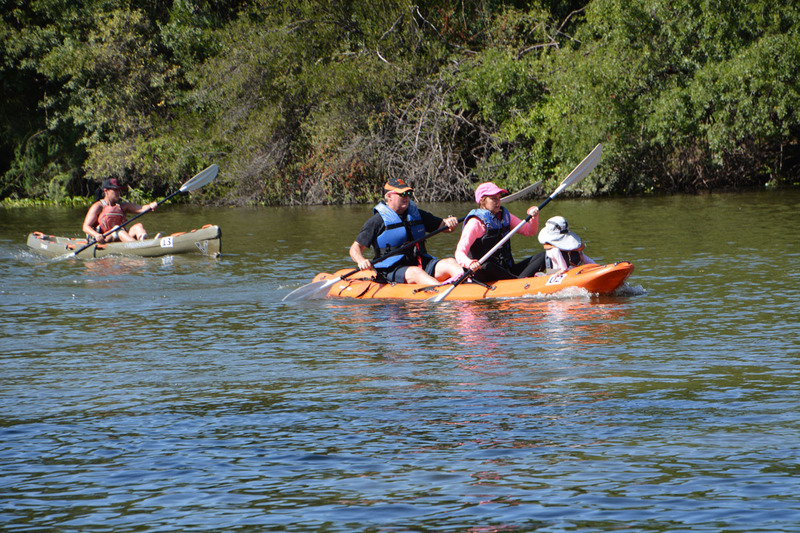 We have timed Paddle Race so that you can make a weekend of it. On the first Saturday of every month is the Hartelus Mark. Located next to the river, this lovely market is a monthly treat. There are dozens of interesting stalls, delicious food, craft beer from The Dog & Fig Brewery and live music. 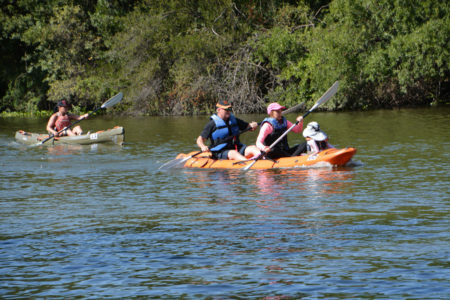 Pack a picnic basket to bring with you to Paddling Race. 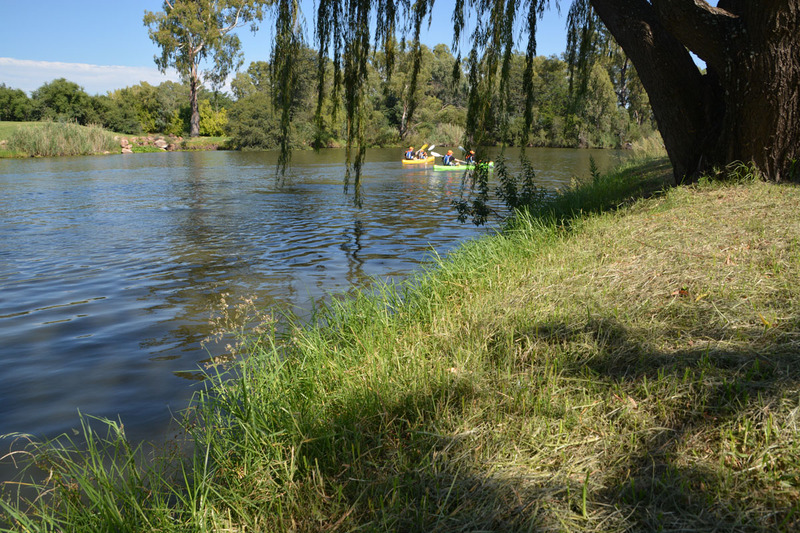 Our super venue, the Likkewaan Canoe Club, is a great place to picnic with its large trees and lush lawns that overlook the Vaal River. An arty town, Parys’ galleries showcase both local artists and others from around the country. Book a massage, facial and other beauty treatments at a spa. Use Saturday afternoon and Sunday for other activities – from parachuting at the airfield to rafting down the rapids of the Vaal River, enjoying a geological walk or a mountain bike ride. Go bird watching, hiking and fishing, or paint a picture in a two-hour class. See the ‘hang bridge’ with its love locks, visit the Parys Museum and pose for a photo by one of the Eiffel Towers in town. Say cheers to the day with sundowners overlooking the river. Enjoy delicious meals at the town’s coffee shops and restaurants. We welcome you to our town. Read this article about Parys on the Vaal Explorer magazine website.